We’ve been organizing to get our college campuses, cities, and states to make commitments towards 100% clean, renewable energy. By mobilizing students, faculty, campus administration, and elected officials; and demonstrating excitement in our communities for clean energy, we can and have seen results. Following a sustained campaign, our CALPIRG Students chapters succeeded in convincing the University of California to only use electricity from clean and renewable sources by 2025. CALPIRG Students also teamed up with Environment California and other local environmental groups to pass SB 100, committing the entire state of California getting 100% of its electricity from renewable and zero-carbon sources by 2045. We know Washington can and should be a leader in the transition to 100% renewable energy. We have one of the cleanest energy grids in the country, but facing extreme weather we need to take the visionary step towards 100%. 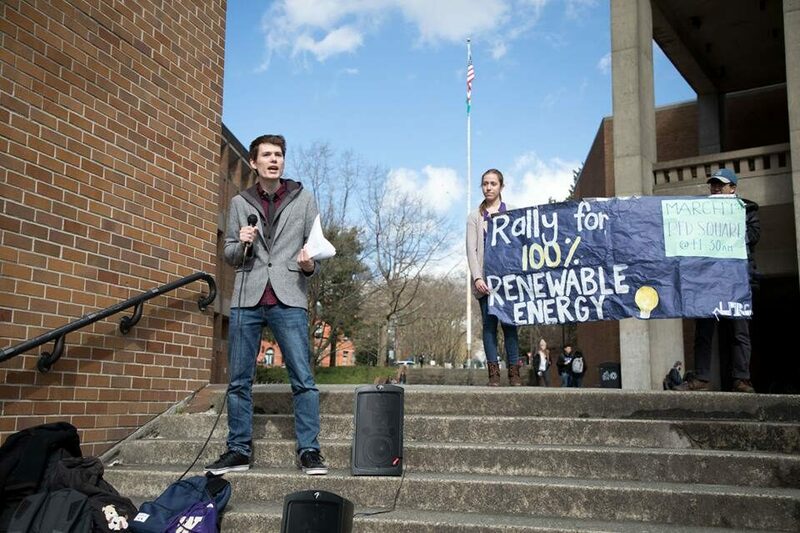 So we’re working to pass a state law that would commit Washington to 100% clean electricity.